A highly questionable means of transport. We've all been there. We need to bring our new purchases home from the mart but no trailer is available for the trip. Well, down in Kerry they never let this small hiccup get in the way of bringing home their livestock. Brendan Fleming simply said: "No trailer, no problem." 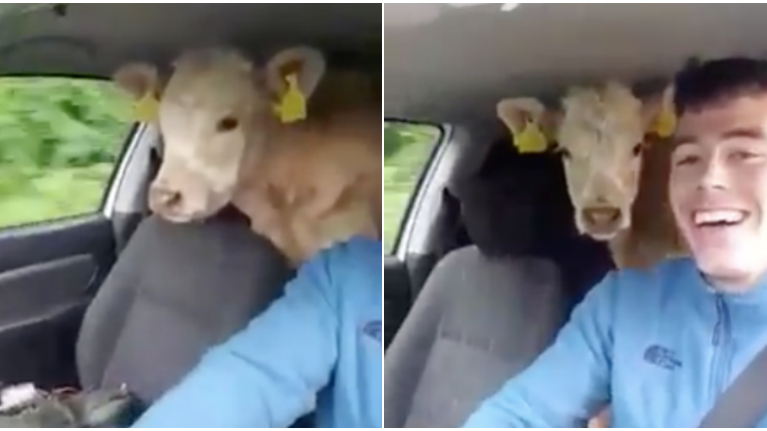 The video, which does, rather unwisely, appear to feature driving while using a phone, has been viewed over half a million times since it was uploaded on Saturday.